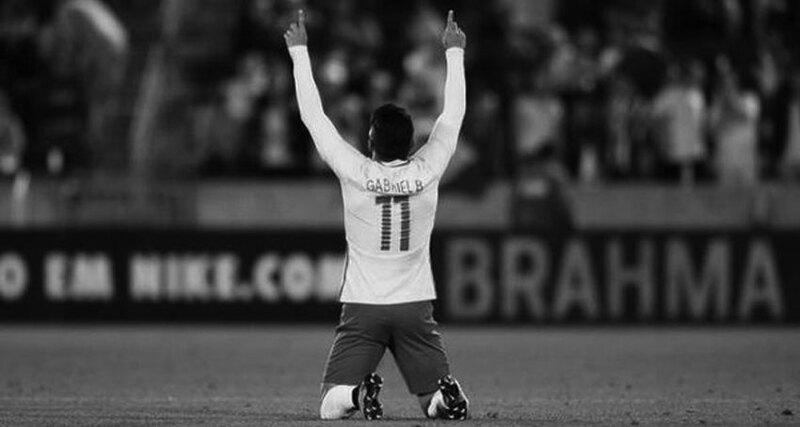 Gabriel Barbosa – or Gabigol as he’s known – scored on his debut for Brazil against Panama last week, and could be required again in the tournament proper. The last time Brazil played a major tournament on American soil, they were crowned World Champions for the fourth time. This time, the story could be vastly different. Ironically enough, the stadium that hosted Brazil’s coronation in 1994, The Rose Bowl in Pasadena just outside Los Angeles, will host their debut in this year’s Copa América Centenario, which will take place Saturday against Ecuador. Brazil enter Saturday’s match a team in crisis. Manager Dunga has been under fire almost since his appointment, and even more so following a disappointing Copa América last June in Chile, and a rather poor start to World Cup qualifying. He has followed up those disappointments with yet another one: his squad choice. While Neymar was made unavailable due to the federation’s desire to suit him up for the home-soil Olympics, Dunga made plenty other questionable calls: leaving Thiago Silva home, calling up Kaká, and his reliance on veteran players who haven’t exactly been great in the prior months. Brazil were however, dealt a favorable hand in regards to their group in this competition. While 3 of the 4 groups seem quite straightforward, Brazil’s Group B is perhaps the most so, featuring a strong but not great Ecuador side, a Peruvian national team that’s elected to send an experimental squad, and a Haiti team that are at best scrapping for a single point, at worst a side playing way out of their league. On Saturday night, the questions asked of Brazil, and there have been many, will finally begin to be answered. The stiffest challenge in the group stage is this opener with Ecuador. Following that, things should be straightforward for Dunga’s side, against a Haiti team that is simply not on the level of many teams in this tournament, and Peru, who have brought an “experimental” side to the United States. While Brazil’s best striking option (and I use the term “best” quite loosely) Ricardo Oliveira misses out due to injury, Jonas, Hulk, and the youngster Gabriel Barbosa could all start as the lone striker in Dunga’s preferred 4-1-4-1. While Gabigol hasn’t seen much time as an out-and-out striker at Santos thanks to the presence of Ricardo Oliveira, he certainly possesses the skill-set to feature as a 9, and could have a coming out party in this tournament. The midfield is perhaps Brazil’s strongest point, with Lucas Lima, Willian, and Renato Augusto set to anchor a group that will also feature the talented Philippe Coutinho, and either Elias or Casemiro in the holding midfield role. If Brazil are to be successful in this tournament, it will be because of its midfield play. Lucas Lima was the most talented player in the Brasileirão last season, and if he can recover from a slight knock, will be expected to be the primary playmaker for a seleção in this Copa América. Willian has his faults, no doubt, but he can still hit a free kick with the best of them, and will be instrumental on the right side. If Brazil are passing like they are capable of, with Lucas Lima threading through balls to runners, they could surpass expectations at this tournament. Dunga’s much maligned defense will most likely feature Gil and Marquinhos in central defense, with Dani Alves and Filipe Luís flanking them on the outside. Gil is capable, but not nearly as talented as either Thiago Silva or David Luiz , who have both been left out of the squad entirely by Dunga. Against Ecuador, the questions will be asked of Dani Alves and Filipe Luís on the outside. Ecuador’s wingers love to push forward, and the pace of the likes of Jefferson Montero and Antonio Valencia could trouble Brazil’s wing backs. As well, Atlético Mineiro man Juan Cazares has made a name for himself lately with his play-making, watch out for him looking to break down Brazil’s defense. In goal, it will be Alisson, who has more than likely played his last match for Internacional with the 23-year old set to move to Europe. Alisson has grabbed hold of the number 1 shirt, and doesn’t seem intent on giving it back any time soon. How he handles the difficult attacks thrown his way by Ecuador will determine who starts for Brazil going forward. Valencia’s Diego Alves, a capable keeper in his own right, waits in the wings, ready to take advantage of any opportunity he’s given. Overall, Brazil should be favored over Ecuador and the rest of Group B thanks to sheer talent, but the Ecuadorians could pose quite the test. The opening match will be a good measuring stick for Dunga and his side. A resounding win could signal Brazil’s intentions to have a go at the title here in the US. A shock loss, or even a lackluster draw, will only heighten the pressure Dunga faces, and increase the questions this side hears as they embark for Orlando, where they’ll take on Haiti.